In its 1999 Olmstead v. L.C. decision, the U.S. Supreme Court ruled that states, in accordance with the Americans With Disabilities Act (ADA), have an obligation to provide services to individuals with disabilities in the most integrated setting appropriate to their needs. Governor Andrew M. Cuomo has made serving individuals with disabilities in the most integrated setting a top priority. 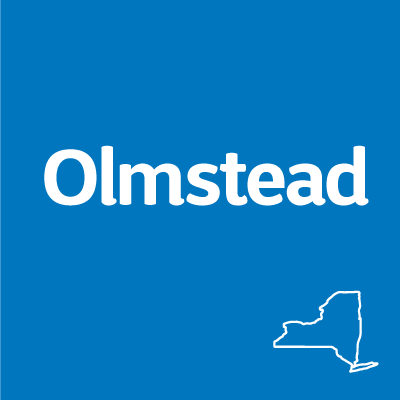 New York State has developed a comprehensive Olmstead Implementation Plan that will address integrated housing, employment, transportation, community services and other important issues. New York's Olmstead Implementation Plan affirms the state’s position as a national leader on disability rights. The Olmstead Cabinet, in collaboration with state agencies and stakeholders, sought to identify strategies to assist people with disabilities to transition from segregated settings to community-based settings. The Olmstead Cabinet examined the methods by which the state agencies providing services to people with disabilities understand the needs and choices of the people they serve and how those agencies measure whether those needs and choices are being met in the most integrated setting. The Olmstead mandate addresses not only the movement of people with disabilities from segregated to community-based settings, but also the ability of those people to lead integrated lives. Therefore, the Olmstead Cabinet’s review sought to identify how New York can further support the integration of people with disabilities in their communities and worked with state agencies to develop policies that would improve community integration. MISCC ensures people of all ages with physical & mental disabilities receive care & services in the most integrated settings appropriate to their individual needs. Find more information about Olmstead and details of upcoming MISCC meetings. Hear from people positively affected by the implementation of New York’s Olmstead Plan.